"We think we travel to learn more about other places, cultures, people, foods. But we really travel to learn more about ourselves." That isn't a famous quote or anything. We kind of made it up. But just because it sounds sage and cliché enough to emblazon an inspirational office poster, doesn't mean it isn't true. 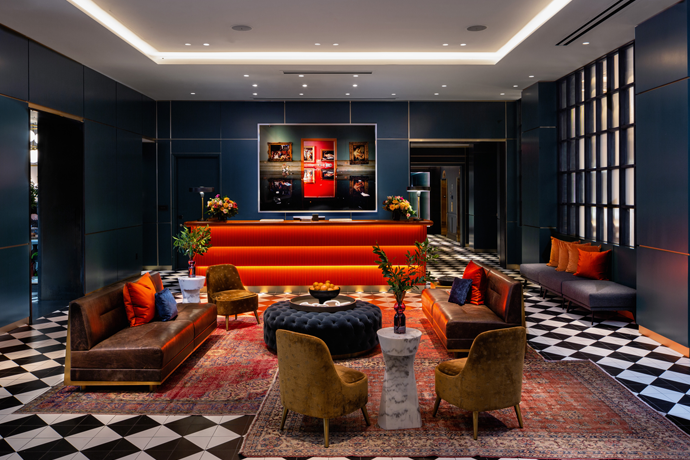 And to prove it, we're directing you to seven bespoke, far-flung adventures from the luxury travel concierges at Black Tomato, expressly designed to help you find answers to life's biggest questions and make you a better overall human. They all fall under their new label, Bring It Back, and they're all available to book now. Rather than start with the destination, your Bring It Back trip will start with a question: How do I turn my passion into my career? What changes can I make to live a more sustainable lifestyle? Do I want to learn how to train racehorses from a nomadic family in Mongolia? That last one's unduly specific, but you get the point: you're setting out on these voyages with a clear, hopefully life-altering objective. Depending on which need you'd like to address, you'll spend six to 11 days in one of seven locations. We've highlighted five of them below. You'll head to Copenhagen, where you'll shadow the journalist who (quite literally) wrote the book on work/life balance and dine with a high-ranking B2B education executive at a leading global organization to absorb the Scandinavian attitude towards work. It might be tough to expense this, but hey, it's worth a shot. 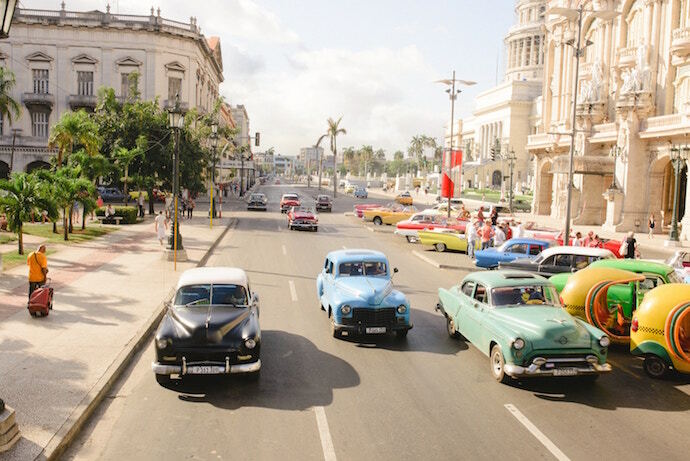 There's no better place to rediscover your passion for the arts (and life, in general) than Cuba. They're pretty much world-renowned for their zeal down there. You'll take in late-night performances at a nexus of avant-garde artists, dance to Cuban music on a local musician's terrace and meet with up-and-coming documentary filmmakers at an arts school founded by Latin American luminaries like Gabriel García Márquez. Somewhat-kind-of-related: you get to take some sweet photos of those cool '50s-era cars. 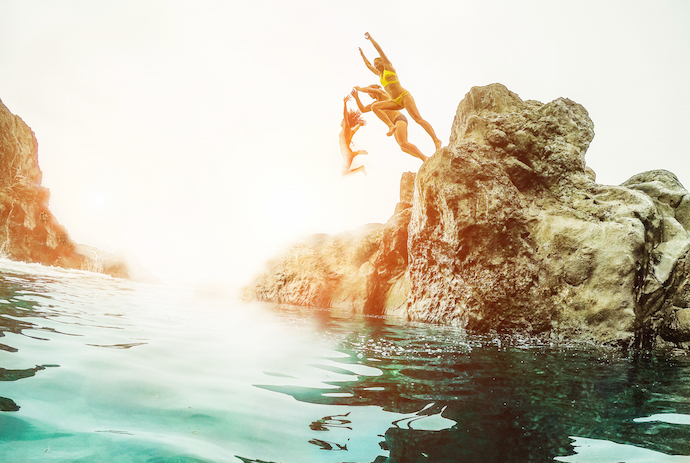 Maybe what you need is a wellness retreat, but less the corporate kind, and more the kind that takes place on the picturesque island of Ibiza. Every day, you'll receive personalized yoga and meditation classes from a world-famous guru (who we assure you is not part of a cult or anything). Then you'll work on resetting your dietary habits with private cooking lessons focused around a macrobiotic lifestyle. Ah, yes. You're heading to Iceland, a tiny country that, in the wake of the global financial crisis, bounced back with a revitalized economy, in large part due to the creativity and spirit of the tourism industry. 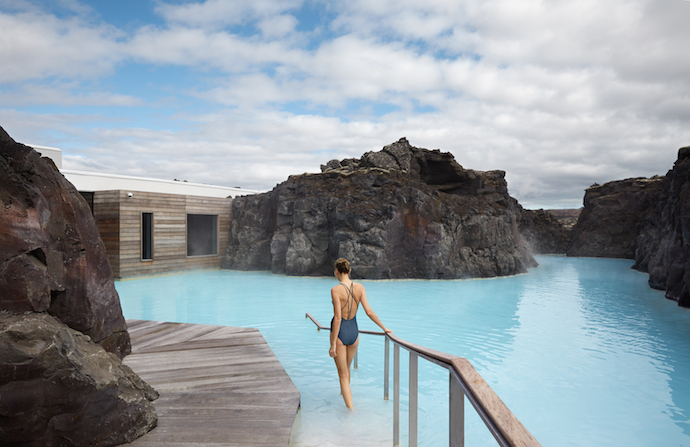 So you'll visit the world-famous Blue Lagoon to enjoy the spa facilities, yes, but also to discover how its proprietors transformed it into the wellness mecca it is today. Amongst other things, you'll have the chance to explore tunnels carved into a glacier (pictured above) and ride the world's only elevator designed to take you (safely) into a magma chamber hundreds of meters below the mouth of the Thrihnukagigur volcano. The correct pronunciation of which is [redacted]. 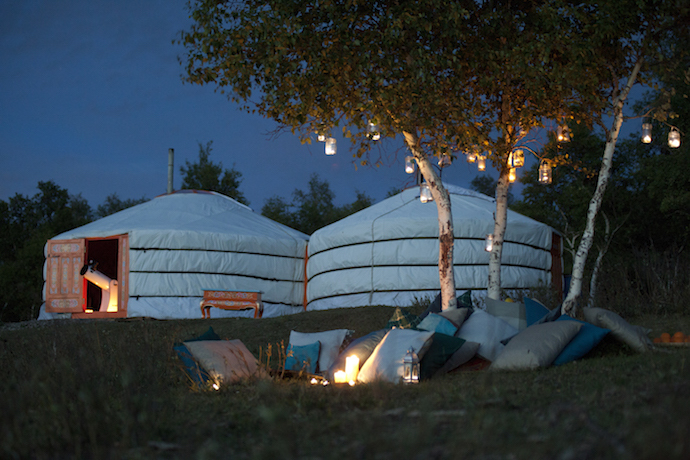 You're traveling all the way to Mongolia to immerse yourself in the inter-generational nomadic communities of Bayangobi, participating in their everyday milking, crafting, herding and cheese-making tasks. Other than renewing your dedication to family and close relationships with a fresh perspective, etc., you'll also have the opportunity to hang with a patriarch who trains racehorses (and hop on one of them yourself for a ride through the mountains).